Why Can’t Police do Their Jobs Without Killing Unarmed Blacks? In light of the killing of Freddie Gray and charges brought against six Baltimore police, the president of the Baltimore police union released a statement that police are now more fearful about being jailed “for doing their jobs properly” than getting shot. Most police officers in Baltimore and elsewhere never get charged for killing any unarmed individuals and those that do rarely ever get convicted. So there is little to no reason for a police officer to fear being arrested. Police probably have a greater chance of being struck by lightning than being charged for killing an unarmed black man. And if they fear that they cannot do their job as police without killing unarmed blacks, then maybe they should not be police officers. Doing their job properly should not mean a young man dies of a broken spine while riding in the custody of police. 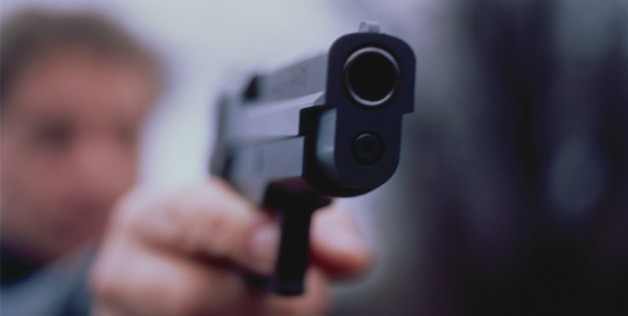 Quite frankly, I am tired of police in Baltimore and elsewhere turning the tables upside down when it comes to killings involving unarmed blacks. Fear is the first response they utter out of their mouths when faced with the possibility of a charge being brought against them. It is the element of fear of being killed that causes many cases to never be charged by prosecutors. If Baltimore police fear being jailed, blacks fear being killed by police. That’s what many blacks feel when confronted by police under what many consider to be non-confrontational circumstances. Michael Brown ran when initially confronted by police officer Darren Wilson for jaywalking. And we know that didn’t end well for 19 year old Michael Brown. And Freddie Gray ran when he had done nothing wrong. He ended up with a broken spine and died of his complications. Eric Garner dared to stand tall and tell the officers that he had done nothing wrong. Meanwhile, as they held him in a chokehold, and he cried out, “I can’t breathe”, we all watched as he took his last breath at the hands of a police officer. And Walter Scott ran when he was stopped for a busted tail light on his newly purchased used vehicle. As he ran away for reasons unknown, he was shot 8 times in the back by a North Charleston police officer. And 12 year old Tamir Rice was killed by a Cleveland police officer while playing on a playground with a toy gun. If anyone wants to understand fear of being arrested or jailed, they should talk to an unarmed black person. That is the real story. But if the police truly fear being jailed more so than of being shot, as the Fraternal Order of Police President Gene Ryan alleges, that fear means that they cannot correctly do their job. And for those police officers who cannot properly under the law, do their job, they should resign. Imagine if a pilot is afraid of flying or a firefighter fears being charged with arson in a fire, one cannot effectively do their job. Fear is a subjective feeling. But when the fear interferes with one’s ability to do their job, it’s time to get a new job. And if Baltimore police and those elsewhere fear that they cannot do their job without killing unarmed blacks and others, they need to find another vocation. While I understand that being a police officer is a difficult job, I seriously question if police are fearful of being jailed. What the police need are extensive ongoing racial sensitivity training in dealing with minority communities, community policing where police come from the community they serve, body cameras, re-training on the law and firing of those who cannot properly do their jobs. And many Baltimore police need to take a long look in the mirror and rid themselves of any racially motivated actions towards the minority communities they serve. Unfortunately that’s not likely to happen anytime in the near future. For now, the Baltimore police union and its officers should stop whining and do their work without killing unarmed black individuals—just like they do when arresting whites in white neighborhoods. Washington, DC based Debbie Hines is a trial lawyer, legal analyst and former prosecutor. She appears on Al Jazeera America, MSNBC, BET, C-Span, PBS, NPR, CCTV- America, Fox 5 (WTTG) and TV One among others, speaking on legal news and issues. Is the Death Penalty Coming to an End in America? As the jury in the trial of Dzhokhar Tsarnaev, the Boston Bomber, deliberated and ultimately recommended the death penalty, more states are slowly leaning away from the death penalty. Massachusetts abolished the death penalty in 1984. However, Tsarnaev’s trial was a federal one which allows for the death penalty. Nebraska is close to becoming the next state to abolish the death penalty. A final vote was taken to abolish it on May 20. All indication is that there are enough votes to ward off any possible veto by Republican Governor Pete Ricks. What is unusual is that Nebraska is a conservative state headed by a Tea Party Republican Governor who supports the death penalty. Other recent states that moved to abolish the death penalty included Maryland in 2013, Connecticut in 2012, Illinois in 2011 and New Jersey in 2007. In all, eighteen states have abolished the death penalty with a third of those states’ banning it since 2007. Connecticut and New Hampshire round out the six states since 2007 to ban it. The number of states banning the death penalty since 2007 indicates a slow but steady stream of states leaning to abolish it. And so it was surprising, that in Massachusetts where the State has banned the death penalty for decades, that a jury chose to recommend the death penalty for the Boston Bomber. And even with Martin Richard’s family,the youngest victim of the bombing, appealing for life without parole, the jury chose to render a death sentence. And as the jury rendered its death sentence for Tsarnaev, another death penalty trial was ongoing. James Holmes, the alleged Aurora, Colorado movie theater shooter, who stands trial for the killing of 12 persons and injuring 70 others, currently faces the death penalty. Holmes alleges insanity at the time of the offense. In Virginia, the Commonwealth intends to seek the death penalty in the case of Jesse Matthew, Jr. who allegedly abducted Hannah Graham, a University of Virginia student in 2014. While there might be a movement to end the death penalty, these three recent cases indicate there is no shortage of death penalty cases being tried in the U.S.
Debbie Hines appeared on the Thom Hartmann show on Monday, May 18 to discuss the death penalty in America and the outcome of Tsarnaev’s case. Washington, DC based Debbie Hines is a trial lawyer, legal analyst and former prosecutor. She appears on Al Jazeera America, MSNBC, BET, C-Span, PBS, CCTV- America, Fox 5 (WTTG), RT America and TV One among others, speaking on legal news and issues. The jury started deliberations on the death penalty phase on Wednesday in the case of Dzhokhar Tsarnaev, the now infamous Boston Bomber who was convicted of all 30 counts involved in the 2013 Boston Marathon bombing, including 17 eligible for the death penalty. His actions took the lives of three persons, including seven year old Martin Richard and severely injured 264 others. Some victims have undergone at least 60 surgeries due to their injuries. It’s difficult to imagine a more heinous crime deserving of the death penalty, Yet despite the heinous acts, Tsarnaev may receive life in prison without the possibility of parole. 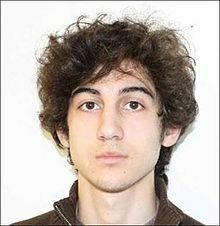 The prosecutor must convince all twelve jurors to sentence Dzhokhar Tsarnaevto death on a single count. If twelve agree to death on a single count, he will receive the death penalty. And that may be more of an uphill climb than most would imagine. The defense on the other hand has only to convince one person on each of the eligible counts that he does not deserve to die. Each side argued in their respective closing arguments and offered evidence throughout the trial of their positions. The prosecution stated the reasons for the death penalty calling Tsarnaev a “terrorist”. And Tsarnaev’s lawyer, Judy Clarke asked the jury to choose life –yes, even for the Boston Bomber. The defense raised Tsarnaev’s childhood where both parents were absent from his life leaving his older brother as the one to raise him. Stating the dominant factor of his older brother was a mitigating factor to consider in giving him life in prison. The jury is aware that at least one of the victim’s families supports life in prison and does not want to go through endless appeals and possible retrials, if he is given the death penalty. The family of eight year old Martin Richard, killed in the bombing, requests that Tsarnaev be spared the death penalty. And Judy Clarke has a track record with death penalty cases resulting in life in prison. Perhaps, the most convincing person to testify on the defense’s behalf was the last defense witness, Sister Helen Prejan, the real life nun portrayed in the movie, Dead Man Walking. Having seen her speak publicly on one occasion, she is an eloquent speaker and strong advocate against the death penalty. She testified that Tsarnaev is remorseful for his acts. To say that the death penalty is not popular in Massachusetts would be an understatement. The case of Tsarnaev is being tried in federal court where the death penalty is allowed. Massachusetts state courts abolished the death penalty in 1984. No one has been executed in Massachusetts since 1947. The prosecutor showed that Tsarnaev had no remorse for his killings as he lay wounded in the boat before he was captured. There he wrote that innocent Americans had to die to be punished. And the act of violence committed by Tsarnaev and his brother were the worst acts of terrorism in the U. S. since September 11. While life in prison is hardly a paradise, one of the prosecution’s points in arguing for the death penalty is that Tsarnaev would also be able to somewhat enjoy some measure of his life in prison unlike the deceased victims. Yet, being on lockdown for 23 hours a day in a tiny cell could hardly be considered enjoyment. If Tsarnaev is given the death penalty on one single count out of the eligible counts for the death penalty, he will be sentence to death. And then the countless appeals will start. If given death, we could be discussing his case a decade later due to appellate reviews—as he awaits on death row. If he is spared the death penalty and given life, he will spend the rest of his life in a tiny cell for 23 hours a day without the possibility of parole. That’s a slower death sentence. Washington, DC based Debbie Hines is a trial lawyer, legal analyst and former prosecutor. She appears on Al Jazeera America, MSNBC, BET, C-Span, PBS, CCTV- America, Fox 5 (WTTG) and TV One among others, speaking on legal news and issues. Once Baltimore City State’s Attorney Marilyn Mosby announced that her office was bringing charges against the six police officers allegedly involved in the death of Freddie Gray, all media piercing eyes were focused on her with extreme scrutiny. There was very little praise for Mosby conducting her own individual investigation instead of relying on the police to police and investigate themselves. There was little discussion of her investigation except to say that it was swift. Yet, the police concluded their investigation in the same time period and no one questioned their swiftness. The media mostly focused on her age, her lack of experience with homicides, potential conflicts of interests with the Gray family attorney, bias against the police, conflicts due to her husband’s position and a host of other things. Almost nothing good has been said about Mosby in the media. At 35 years old, she is the youngest chief prosecutor in a major city. Ms. Mosby worked at the Baltimore State’s Attorney’s office for five years before moving on to obtain other work experience. And I hate to let the media in on a secret. Ms. Mosby will not likely be trying the case by herself. She will most likely have a team of seasoned prosecutors involved on the case. As a former Baltimore prosecutor, the State’s Attorney’s Office has many senior career prosecutors. She did not conduct the investigation by herself. She used her own team of investigators and lawyers. To their credit and respect for her, no one leaked that there was a simultaneous investigation occurring alongside of the police investigation. The main focus has been on her alleged speed in investigating the Gray case. 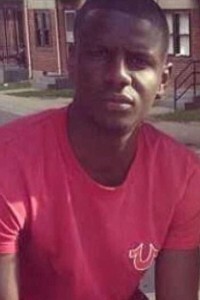 Just about every interview has asked about the speed of the investigation—as if it were lightning fast and referring to a “rush to judgment.” The problem is not with Ms. Mosby’s speed but with the other police involved killings in other jurisdictions and Maryland that took months to investigate without charges being filed. It should not and does not normally take months to investigate a homicide. Although police are involved, at the end of the day, it’s still a homicide case. Like all homicide investigations, her office’s investigation will be ongoing. A homicide investigation does not end just because charges have been brought. Just as the police are continuing their investigation, Ms. Mosby undoubtedly will continue her investigation. Once Mosby had enough information to bring charges based on probable cause, her office prepared the necessary paperwork to bring the charges. Probable cause is a far much lower standard from reasonable doubt. As if the attacks on her age, level of experience and competence weren’t enough, the media questioned her bias against police officers and potential conflict with the Gray family attorney, William “Billy” Murphy. Any bias questioned against her for bringing charges against the police is utterly unfounded. 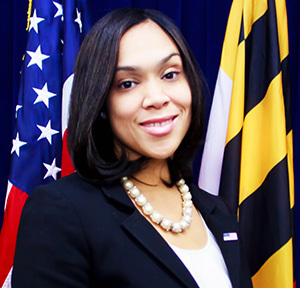 According to Mosby in interviews, her family consists of police officers for generations from her parents, grandfather, two uncles and other relatives. The alleged potential conflict of interest with Mr. Murphy and his association with her campaign is also a non-issue. Mr. Murphy gave money to Mosby’s campaign and the Fraternal Order of Police also contributed to her campaign. Clearly, no apparent conflict exists. As for her knowing William Murphy, he is a prominent attorney in the Baltimore community and most attorneys, and particularly African American attorneys, are familiar in some way or another with Mr. Murphy. Then the media questioned whether a conflict of interest exists with her handling the case because her husband, Baltimore City Councilman Nick Mosby represents the district where Freddie Gray resided. It is the area in which she and her family reside. There would be no reason for Ms. Mosby to recuse herself in every case involving her district. I doubt if any other State’s Attorney was ever asked to recuse his or herself due to where they lived. She represents the entire City of Baltimore, including the district where she and her family reside. What most of the media got wrong with Marilyn Mosby is their failure to address her intelligence, savvy, ingenuity and boldness in taking the action that she took. If she were a young, white male prosecutor, she would have been described as a rising star, an emerging legal figure with a keen and brilliant legal mind or a legal maverick. Ms. Mosby is all those things and many more. But most of the media has chosen and probably will continue to focus on negativity when referring to her and her office. The six police officer’s attorneys and some of their fellow officers will continue to put their negative spin on Ms. Mosby in the media. In contrast, Mosby will not try the case in the press. She will have to wait patiently until the case proceeds through the legal system to prove her worth. Many in the media act as if Marilyn Mosby is on trial. She is not the one on trial in this case. Washington, DC based Debbie Hines is a trial lawyer, legal analyst and former Baltimore prosecutor. She appears on MSNBC, Al Jazeera, BET, C-Span, CCTV- America, Sky News, PBS and TV One, among others addressing legal issues. She is a native of Baltimore, MD. As Baltimore City State’s Attorney Marilyn Mosby delivered a stunning and surprising press conference on May 1, announcing charges of the six police officers allegedly involved in Freddie Gray’s death, she held a secret close to her chest. Her office investigated the police officers and the death of Freddie Gray since the incident began. When she received the police investigation of the police on Thursday, April 30, she had already done her own due diligence. 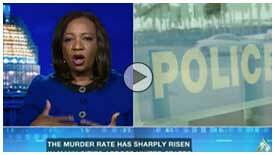 All that was left was the Medical Examiner’s report declaring Gray’s death a homicide. She received the autopsy report on May 1 stating that Mr. Gray’s death was a homicide. She had the best kept secret ever in terms of homicide investigations involving police. There were no leaks from her office, her investigators or the Baltimore City Sheriffs who assisted her office in the investigation. In the age of social media, where even leaks occurred to the media about the police investigation to the Washington Post and other outlets, no such leaks appeared on the part of the State’s Attorney’s office. No one revealed there was a concurrent investigation going on. So the Baltimore Police Department like the rest of Baltimore and America expected a long delay before the conclusion of the investigation. Her ingenuity in the manner in which her office conducted the investigation embodies a new day for police brutality and excessive force investigations—at least in Baltimore. While I was skeptical and critical of the Baltimore City State’s Attorney’s Office handling of the case and spoke and wrote about my concerns, I never imagined the ingenuity, creativity, political savvy and excellent legal maneuvering by Ms. Mosby. I never realized that this young energetic and dynamic State’s Attorney would take the bull by the horns and lead it. The fact that no attorney or investigator leaked anything on her investigation team shows the commitment of her people to her and this case. On the other hand, the Baltimore Police Department gave access to the Sun Papers with the caveat that they could report on it at a later time. While transparency appears to be the cry in these types of cases, it is also a double edged sword that can compromise a case when it goes to trial. And Ms. Mosby advised her City to be understanding that all the details cannot be given to the public in a homicide case. I trust that she will provide access to information that will not jeopardize the case. The Baltimore Police Department and the Fraternal Order of Police have already leaked many details of their investigation—in an attempt to show the officers did nothing wrong or that Mr. Gray committed his own injuries. The facts are now for a jury or judge to determine. We often hear that we should think outside the box. The saying applies to most things in life. The traditional way of thinking for prosecutors is to wait until the police complete their investigation on any police involved homicide and turn it over to the prosecutor’s office for a decision on whether to bring charges or not. Then the prosecutor needs to review the police investigation and make any additional follow up interviews. Ms. Mosby circumvented that entire process by thinking outside the box. There was no need for her to wait and she did not rush to judgment. She did her homework ahead of time without any leaks, any knowledge on the part of the police and without compromising the investigation. She did nothing to compromise the investigation and did everything to advance it along in a fair and balanced manner. And for that, I applaud her efforts to this point. This is just a beginning. But it’s off to a good start. Washington, DC based Debbie Hines is a trial lawyer, legal analyst and former Baltimore City prosecutor. She is often seen on air on Arise TV, Al Jazeera America, BET, C-Span, CCTV- America, PBS, Sky News, Fox 5, TV One and others. She also contributes to the Huffington Post. She is a native of Baltimore, MD.